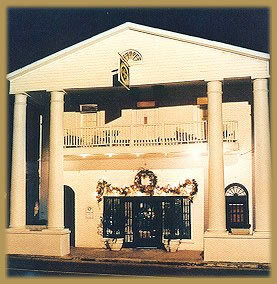 Old Centenary Inn is a Hotel experience with an Entrance Lobby, Ballroom and patio on the ground level. It serves as a Bed & Breakfast and event venue. An elevator and a spiral staircase traverse to the second floor with a central hallway to their eight luxury guest rooms with private Jacuzzi baths; one offers handicapped accommodations. The building was constructed as a hotel (circa 1935) using salvaged bricks, columns, windows and doors from the old East Dormitory building of Centenary College. 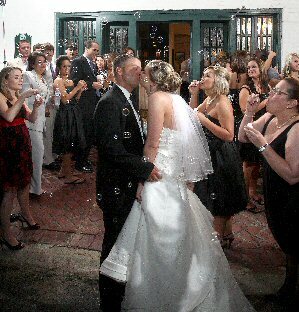 The present owner restored the Inn in the 1990’s adding a courtyard and cypress ballroom for meetings, weddings and receptions. We are located in the rolling hills of historically-rich Jackson, Louisiana which has 124 historic structures. Prior to the separation into East and West Feliciana parishes, Jackson was the parish seat of the Felicianas. The original courthouse (circa 1820) still stands. Within walking distance of the Inn a State Historic Site - Centenary College (built in 1832, now a Louisiana State Park facility), Old Hickory Railroad, the Republic of West Florida Museum, Civil War era churches, antique stores, and quaint shops. Several delightful dining options are located a short drive away. Minutes away are golf courses, a nature conservancy and biking trails. We are thirty minutes north of Baton Rouge, Louisiana's capital. "Only bring someone you want to please and pamper"